Pittsburg State University has a Campus Residency Policy that requires all first-year students to live in a university residence hall during their first two academic semesters. Not only does this help you better enjoy all that your university has to offer; it also helps you in the classroom. National data indicates that students who live on campus during at least their first two semesters perform better academically and are more likely to graduate from the university. It's why so many students choose to continue to live on campus. 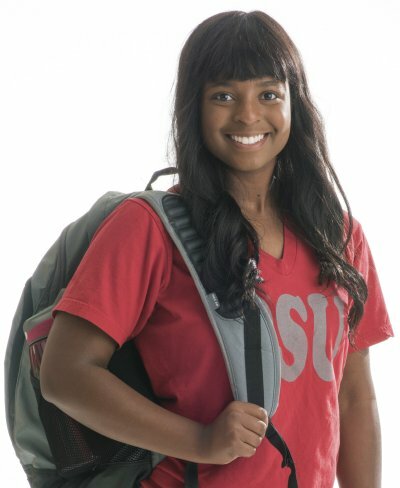 is transferring 24 hours of course credit or more (concurrent enrollment credits, earned prior to student’s high school graduation, do not qualify). We know this is an important decision for you, your parents, and your family. Take your time and let us know if you have any questions. We look forward to hearing from you. There are designated parking zones for students who live in residence halls. Students are required to register their vehicles each year prior to the beginning of the fall semester or prior to their first term of enrollment. A parking pass is included in your housing package when you choose to live on campus. Applications are available in mid-October. Assignments are made according to the date of application, receipt of application fee and space availability. Every attempt is made to honor requests, however, assignments are not guaranteed. Applications cannot be processed without an application fee. Reserve your room in just four easy steps. Fill out online application form. Room and roommate assignments will be available based on the submission date of your application and application fee. You will be notified of your official room assignment via e-mail in mid-July. University Housing does not discriminate on the basis of race, religion, nationality, or sexual orientation in making room assignments.